It’s time for you to get engaged and help determine the future priorities of Bike Cleveland! 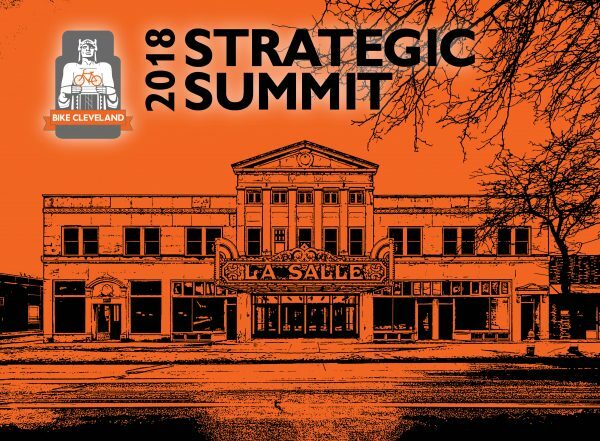 Join them on Sunday, November 11th at the beautifully restored LaSalle Arts & Media Center in Cleveland's Collinwood neighborhood for a once-every-five-year opportunity to help Northeast Ohio take the next big steps toward bicycle and pedestrian friendliness. Over the past several months, Bike Cleveland has logged dozens of hours within a strategic planning process, one that looks back at the advancements they have made – and that also looks forward to the next 5 years of progress. You may recall completing their “Strategic Plan Survey” that they sent out a couple months ago; you can see the survey results here. Through this process they have determined several key goals of what needs accomplished, and now seek your input to prioritize and activate their work. 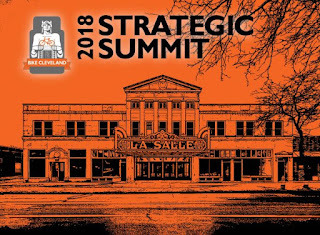 This is a rare opportunity to network with other like-minded bike enthusiasts, dig deep into our region's problems and opportunities, and come away energized about what Bike Cleveland has in store for the upcoming years. It will also be a prime time to recommit to volunteering, helping us grow membership and influence, and spreading the word that a Cleveland that is safe for cycling and walking is a BETTER city. Time: Doors open at 12:00 noon, presentation and breakout work sessions run from 1:00pm until 5:00pm. Snacks will be provided during the event. Post-summit social at a nearby location TBD. Follow the event on Facebook for the latest news and updates. The event is FREE, but space is limited, so you MUST pre-register. Go to the event's home page for the registration link. Halloween Tune-Up Specials! Now through November 11, 2018! 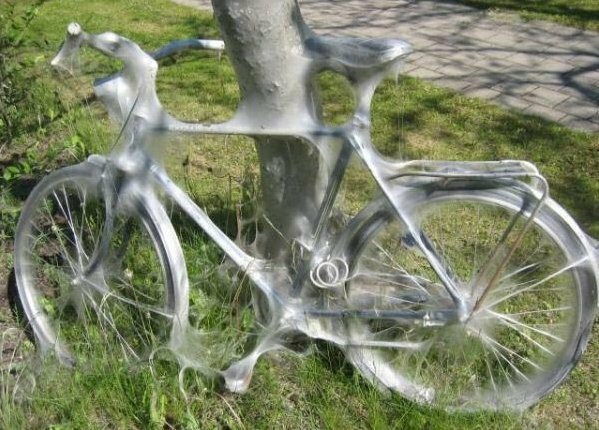 Is your bike creepy, creaky, and cobwebby? Is it a thing of nightmares? Is it plagued by gremlins in your gears and demons in your derailleurs? Are your brakes driving you batty? Does their screaming give you goosebumps? Are your tires all tricks and no treats? 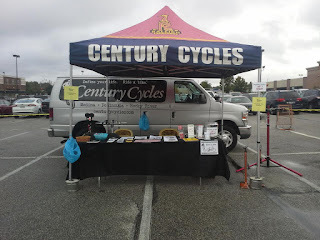 Then take advantage of Century Cycles' Halloween Tune-Up Special before the weather turns ghoulish and ghastly. but it’s also a great time to bring your bike in for what it needs most. Let the mechanical wizards at Century Cycles exorcise those evil bicycle spirits and make your bike “Boo”tiful again! No coupon needed. No appointment necessary; just bring your bike in! No charge for estimates. Pickup and delivery available for additional charges. See http://centurycycles.com/get/service for a list of what's included in each Tune-Up Package. Offer expires November 11, 2018. Nick rode his Surly Bikes Midnight Special bike, and packed his stuff using bikepacking gear from Blackburn Design and Revelate Designs. He stayed in campgrounds along the way. As if that weren't enough, his trip was completely car-free! 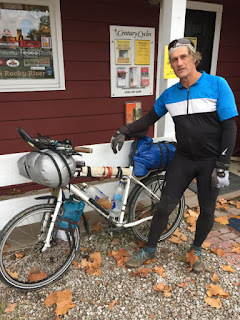 He rode from home to the Amtrak station in Cleveland, took the train to Pittsburgh, biked to DC, then took the train back from DC to Cleveland, then pedaled home! Calling ALL Ladies!!! Please join Deltrece Daniels for the latest Liv Cycling event! Stop by the Bike Cleveland offices this Tuesday and leave home with tools needed to feel confident while riding one, two, or three wheels! Meet new friends and share bike memories. Hot cider and "Treats" will be available for you! Follow the event on Facebook for the latest news and updates. 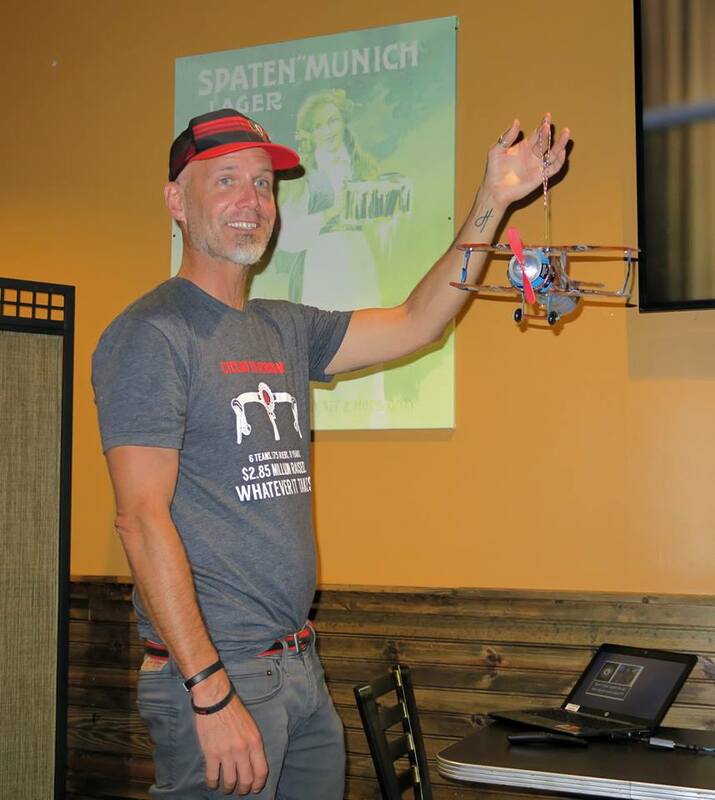 Bike Lakewood (a chapter of Bike Cleveland) has developed a plan to connect Edgewater Park to Huntington Reservation. The West Side Lakefront Greenway will create a stress-free connection along the lakefront and to Rocky River Reservation. The connection was identified in the Cuyahoga Greenways plan. Attend an upcoming public meeting in Lakewood: The City of Lakewood is holding a community meeting to discuss the operation of Lake Avenue after repaving is completed in 2019. The meeting will be held on Wednesday, October 24, 2018 at 7:00pm at the Lakewood Public Library Main Branch (15425 Detroit Ave, Lakewood, OH 44107), Multi-Purpose Room. We need folks in attendance to ask about building a protected bike lane along this section of Lake Avenue as part of the West Side Lakefront Greenway. Sign the petition in support of the West Side Lakefront Greenway. 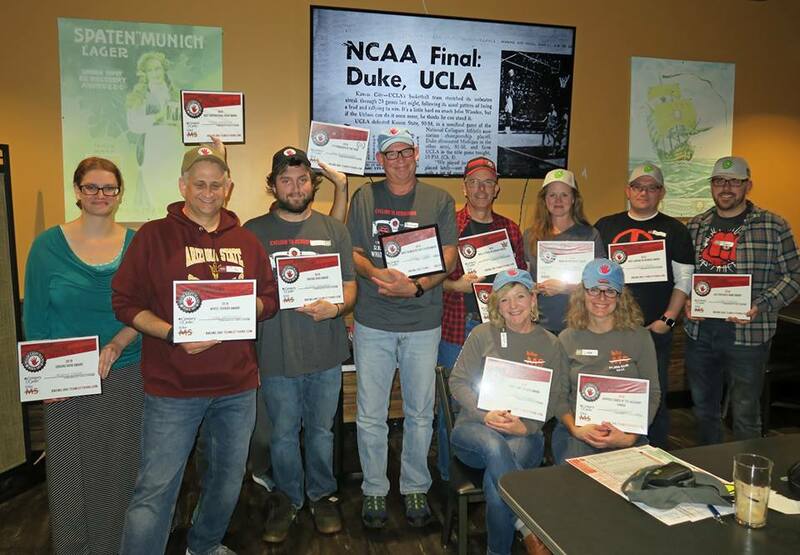 Thank you to the Winking Lizard Tavern of Brunswick for hosting us this past Tuesday for our Team Left Hand/Century Cycles Wrap-Up Party for the Bike MS Buckeye Breakaway! 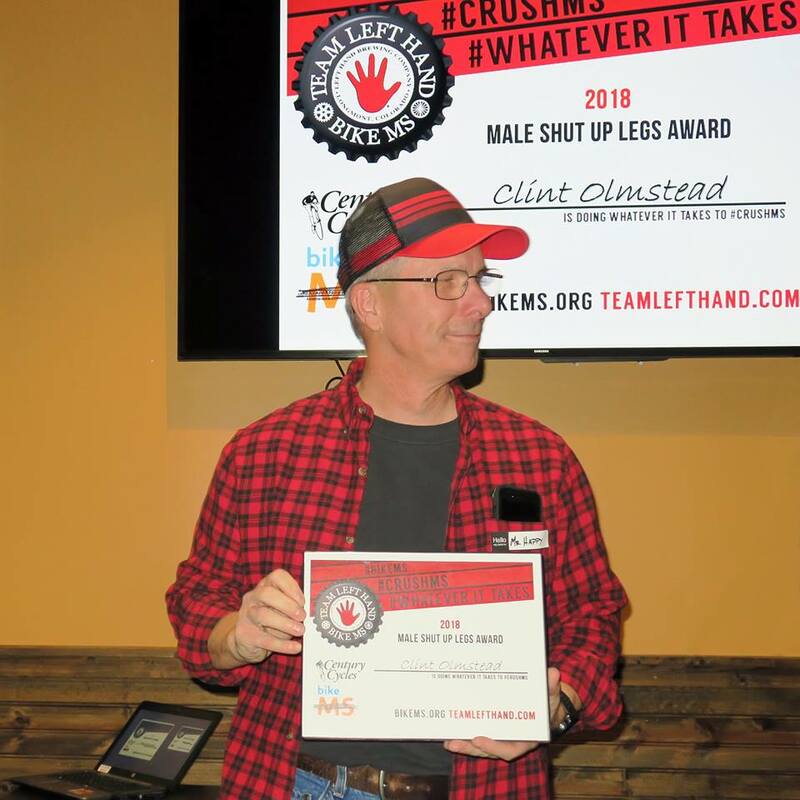 We celebrated our accomplishments on this year's ride, including raising over $86,000 for the National Multiple Sclerosis Society, and gave out team awards. Go here to see more photos! The Salsa Cycles Fargo set the standard for off-road touring, with multiple victories and records on the Tour Divide race on the Great Divide Mountain Bike Route. It's equally at home touring your favorite back roads or trails, or as a workhorse commuter. Use traditional racks and panniers, or load it up bikepacking-style with frame bags and other strap-on accessories. The 2019 version is available in two build options. The Salsa Fargo Tiagra (shown above in Teal; also available in Orange) features a Shimano Tiagra 2x10 drivetrain and TRP Spyre mechanical disc brakes. The Salsa Fargo Apex (shown above in Olive Green) features a SRAM 1x11 drivetrain and SRAM hydraulic disc brakes. 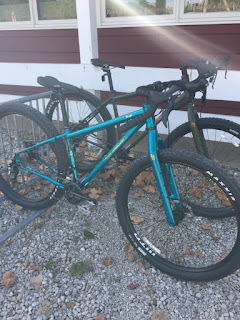 Both have Salsa's Cobra Kai CroMoly frames and the new Firestarter 110 carbon fork, which has FOUR sets of 3-Pack mounting eyelets for carrying even more water and/or cargo. Each comes with 29x2.6 for tons of traction, but the frames and forks are compatible with 27.5+ or 29+ wheels* as well! Currently in stock at the Century Cycles store in Peninsula; coming soon to Medina and Rocky River. 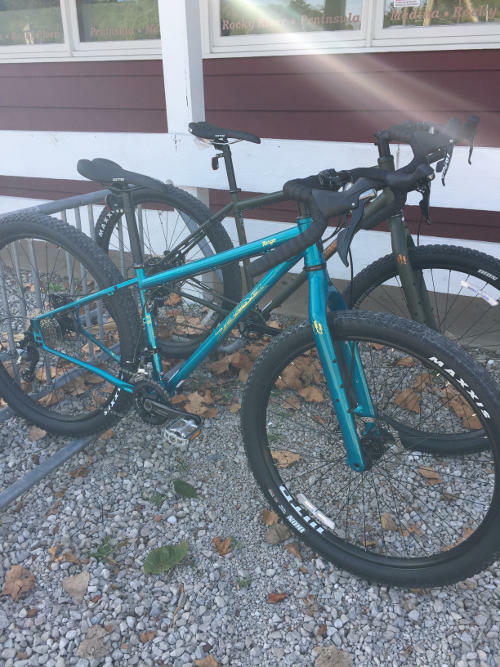 Stop in for a test-ride, and find your Adventure By Bike™ on a Salsa! * Size Extra-Small not compatible with 29+. We had a late-season bicycle touring visitor at the Century Cycles store in Peninsula today! Doug grew up in Columbus, Ohio, but has lived in Bozeman, Montana since 1977, working as a ski and mountaineering guide. 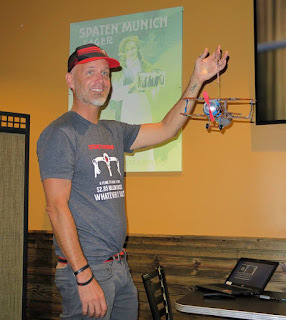 Doug has spent the past year back in Columbus caring for his aging parents, but was able to take a break for a few days to meet some friends at Cedar Point amusement park in Sandusky, Ohio. 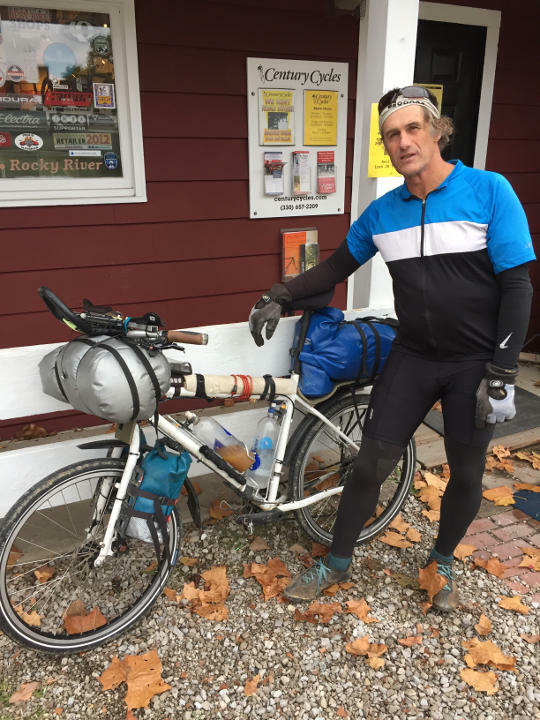 He left Sandusky yesterday, and is making his way back to Columbus on the Ohio to Erie Trail. Happy Trails, Doug! His bike is the Surly Bikes World Troller. You can see more photos of bicycle-touring visitors that have visited all three of our stores in our Bicycle Touring Photo Gallery. Join us on for the first-ever bicycling film festival in Ohio. We'll be showcasing some of the world's best short movies with bicycle themes! Each admission gets you an entry into the raffle for door prizes, where we'll be giving away a FREE Essential Bike Fitting by Certified Bike Fitter Tom Wiseman in our Medina store! Get tickets from the event on Facebook or at EventBrite. 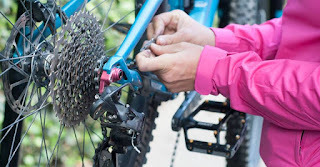 Are you a mountain biker who like the security of platform pedals with metal traction pins, but you also want to clip into your pedals occasionally? You want all this without having to constantly swap pedals on and off your bike? 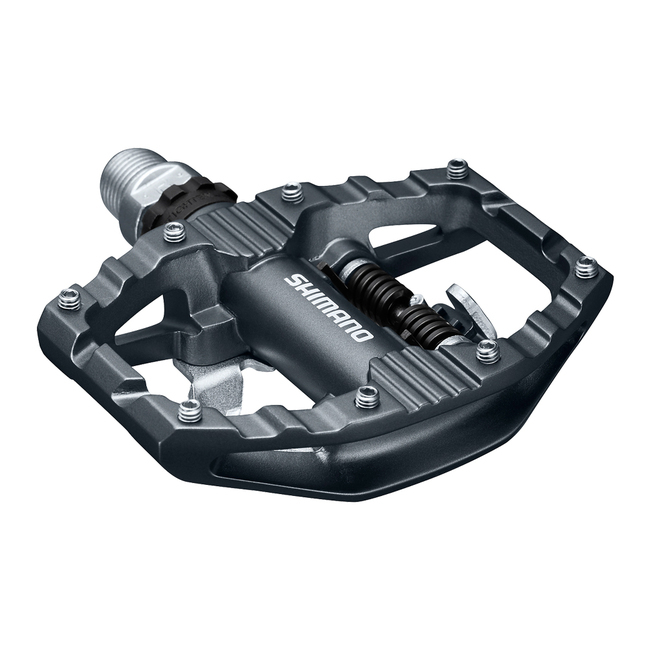 The new Shimano PD-EH500 Pedals are just what you've been waiting for. 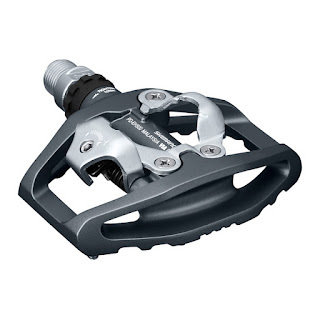 These pedals are also great for bicycle touring riders, bike commuters, clip-in beginners, or anybody wanting to use clip-in pedal technology occasionally, but want a little more grip when wearing non-clip-in shoes. They come with one pair of Shimano SM-SH56 multi-release cleats for your shoes (the silver ones), but they are also compatible with the Shimano SM-SH51 single-release cleats (the black ones). Weight is 383 grams per pair. Now in stock in all three Century Cycles stores! Look for the Medina Century Cycles Service Manager Don Barnett doing FREE bicycle safety inspections and providing bike safety information. There will also be fun and games, pony rides, a petting zoo, and Home Depot crafts for kids, as well as various demonstrations, including: Jaws of Life (11:00am), Hook and Ladder (1:00pm). The Red Cross will be there with the Blood Mobile, as well as lots of police cars and fire and rescue trucks. Last of all, the Life Flight Helicopter will be landing at 2:00pm. The QBP Women’s Bike Mechanic Scholarship is dedicated to increasing gender diversity within the bike industry. Funded by Quality Bicycle Products and brand partners, scholarship recipients attend the United Bicycle Institute’s 2-week Professional Repair and Shop Operation class in Oregon. Equipped with the expertise and connections gained from this class, scholarship recipients can affect even greater change in their communities, making bike-kind a more inclusive place for us all. 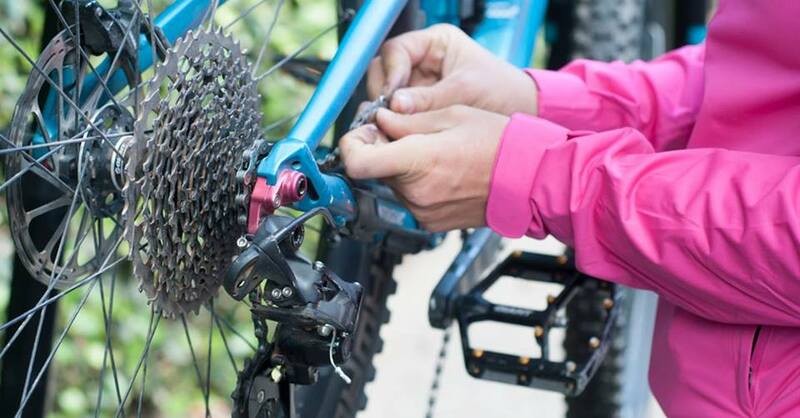 Through hands-on learning, component-by-component study, and formal lecture, scholarship recipients come away with the skills to advance their careers in the bike industry, gain advanced mechanical knowledge, and deepen their bike industry network. Thanks to the success of past years and the generous support of our sponsors, this year QBP is excited to send 32 women on this adventure. QBP is one of the nation's largest wholesale distributors of bicycles, parts, and accessories, and is the home of innovative brands such as Surly Bikes, Salsa Cycles, and 45NRTH.